Ever wonder where we came from? I do. And how did life in the Universe get its start? In 2006 I got my chance to get a little closer to the subject that had bothered me since 5th grade biology and the pat answers given by my teacher, who was probably just trying to stay out of hot water by glossing over the conundrum. It was at a prestigious Awards Dinner in at the NYC, with Uma Thurmond and the delightful Jane Goodall as presenters, that I was seated next to a Scientist and Explorer from NASA and SETI, Dr Nathalie Cabrol. It wasn't by accident, he architect of this meeting was Milbry Polk, who knew that I was fond of diving in extreme environments, and that Nathalie had a project going on requiring diving into the highest volcano crater lake on the planet. By the time the second course was served, I was in. A few months later we were on top of the Licancabur Volcano in the Bolivian Andes on a multi-disciplinary study of the origins of life in the extreme environments that would influence future efforts to search for life on other planets. It was also a world record altitude dive. Since then I have had the pleasure of continuing to work with and support several other fascinating projects funded by NASA ASTEP ( Astrobiology Science and Technology for Exploring Planets) that deal with how to learn more about the riddle of where, and how, life began. Im Currently playing the role of Education and Public Outreach lead. Help me out by sending in some questions to ponder with you while we are on the mountain top. 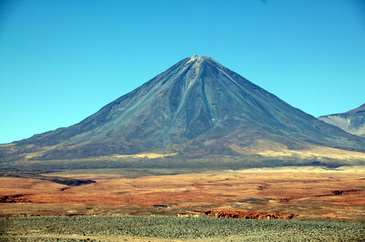 Read my article from the original 2006 expedition to Licancabur Volcano here. Here is the first video on the project edited by Garrett Hayes and Andrew Froening . The PLL 2013 expedition video #2, Edited in the Field by Victor Robles of Campoalto Operaciones. The PLL 2013 expedition video #4, Edited in the Field by Victor Robles of Campoalto Operaciones. 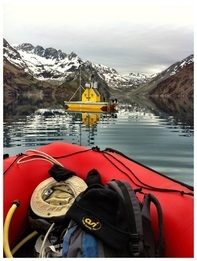 The PLL 2013 expedition video #1, Edited in the Field by Victor Robles of Campoalto Operaciones. The PLL 2013 expedition video #3, Edited in the Field by Victor Robles of Campoalto Operaciones. The PLL 2013 expedition video #5, Edited in the Field by Victor Robles of Campoalto Operaciones.